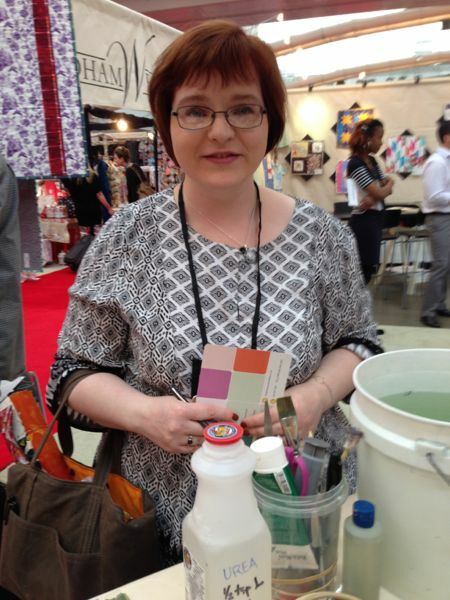 Lynn K and her new line of stencils, a Blog Hop! 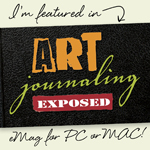 I am really happy to be a part of Lynn Krawczyk’s Blog Hop announcing her upcoming line of stencils called ‘Marked’ by Artistcellar. While I wish I could have found my own set of Lynn’s stencils to play around and make some samples for you, moving and time constraints have gotten the better of me. What I can tell you is this, I have long admired Lynn and have both been able to support, mentor and be mentored by Lynn. You may also remember that I reviewed a copy of Lynn’s book, here. The fact that Lynn was able to get a line of stencils with her name on it does not surprise me. 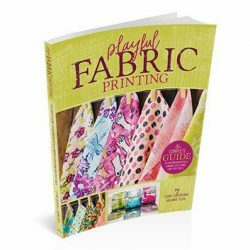 Lynn knows how to print and layer cloth effectively and having a line of stencils is an extension of her commitment to printing cloth as well as her love and exuberance in being a surface design artist. 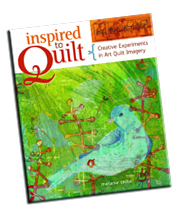 When I want to Quilt Market this last May, Lynn and I met up several times, she made an appearance in this video, I am happy to say I was able to get a signed copy of Lynn’s book, Intentional Printing, as she was doing an author signing in the Interweave booth, but I am happier still that Lynn stopped by my Windham booth where I had set up a studio to print and entice folks to get to know me and how I went about designing Meadowlark. The participants in this blog hop are listed by order of date posted and one lucky commenter on each post in the hop will win a set of Lynn’s stencils, so please post comments on every post possible! I will choose a winner from my blog hopping post one week from today on July 6. These stencils look so awesome! I’d love to win a set of them! Nothing better than artists sharing and supporting one another and this is the best! Love reading about market and seeing everyone you met and they met you..and now this wonderful collaboration and another blog hop! Awesome, I’m in, big time… and visiting and loving this one, as well! So much fun!!! Her stencils look pretty awesome. Thanks for sharing links to those, and her book. They are right up my alley! 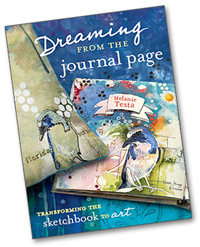 I would love some of Lynn’s stencils so I could be even more creative with the ideas in her wonderful book. These stencils would add wonderful marks to cloth and paper art. I can’t wait to play with them. I’m becoming quite the stencil junkie! These look great! Wouldn’t it be fun to do a tag team event? Start off with a white piece of cloth, one person does her/his thing, then passes it off to the next – mixing media, techniques, ideas. I’ve long been an admirer of Lynn’s work. I’d love a chance to use her stencils! I’ve just begun gelli printing and Lynn’s delightful (what else would they be?) stencils would be quite the treat. Awesome stencils. You can never have too many! Lynn’s stencils are great! I can’t wait to use them. Who doesn’t love x’s and o’s? Stencil junkies unite!! These are fabulous! I would love to have a set to play with! I am really into dyeing fabric and adding some surface design to the hand dyes! Thanks for the chance! I’d love to have a play around with this stencil set. I think they’d be perfect for using with acrylic mediums to add texture and also for layering on my Gelli plate. These stencils look like lots of fun! Love these mark making tools which not only are a great fit with Lynn’s new book, but both of your books too Melanie, which I continue to use and enjoy! What fun stencils! Great ideas to use with them! just checked out the stencils. they are fab! Once again Lynn shows us what a talented artist she is. Would love to use her stencils in my work! Well, another wonderful hop! Love these stencils and Lynn’s book. I just got your book today Melly. Love it. Between the two books I should be able to plan some fun art projects. If only my sewing machine worked better! Wow! Love those stencils! Thanks for being in this hop! Fabulous stencils – I’d love to win some ! Love these stencils. Thanks for the opportunity to win! Great stencils, I’d love to win some. The stencil designs will work wonderfully on fabric. Cannot wait to get my hands on some. I would love to win Lynn’s new stencils. These stencils look so cool! Thanks for the opportunity to win a set. Hope you get everything settled after your move. It is hard living out of boxes. Love the versatility and range of projects I am seeing made with this new line of stencils. Hope to get my painty paws on a set! Thanks for the chance to win a set of these wonderful stencils! WOW love the set of Lynn Krawczyk’s “Marked” stencils, I hope your settled soon and can dive into using them. Thanks for the chance to win…. They are as cool as the fireworks I saw last night in Lacrosse. Wi….. Drove over fifty miles to get there, but was worth it. I have a baby moleskine calendar journal with fold in pages I added. The stencils would work great. What awesome stencils! Thanks for the chance to win! The stencils are awesome. Thanks for the opportunity to win. How cool that you got to meet her! I always love things even more when I get a chance to talk to who created it and hear about their inspiration. Thanks for doing a giveaway!